Why is Final Fantasy XV so important? In 2006, Square Enix announced the Fabula Nova Crystallis subseries of Final Fantasy. The common theme of the subseries was the focus on important crystals that were tied to deities. Three games were announced: Final Fantasy XIII, Final Fantasy Type-0 and Final Fantasy Versus XIII. In 2009, Final Fantasy XIII was released for the Playstation 3 and Xbox 360 to favourable critical and mixed fan reception. A number of fans found the game to be disappointing due its linear gameplay, lack of towns and underwhelming cast. Final Fantasy Type-0 was released for the Playstation Portable in 2011, and while it was received positively, many fans desired a Final Fantasy experience on console. They looked to Final Fantasy Versus XIII to satisfy their fix. With its fast paced action RPG combat, simplistic story, and open world, Versus XIII promised to be the antithesis of Final Fantasy XIII, a game they loathed. For years, fans of the series waited patiently without any updates on the game, save for a few screenshots and statements from Square Enix. Numerous cancellation rumors circled around gaming sites and fans doubted whether the game would ever get released. However, in 2012, Square Enix officially announced that Final Fantasy Versus XIII would be renamed Final Fantasy XV. The game received more frequent development updates following the announcement, but still faced multiple delays. On November 29th, 2016, Final Fantasy XV was released worldwide for the Playstation 4 and Xbox One, over 10 years after the game’s initial announcement. Given the extremely long development cycle, the disappointing Final Fantasy XIII and the general lack of consumer trust in Square Enix, Final Fantasy XV is a crucial game for fans, the future of the series and for Square Enix as a company. The game faced extremely high expectations, and while the game falls short in certain areas, Final Fantasy XV is a solid title deserving of the Final Fantasy name. Final Fantasy XV takes place in the world of Eos, which is divided into three continents: Lucis, Accordo and Niflheim. The militaristic Niflheim, which controls most of Eos, has been at war with Lucis for many years. Lucis is protected by The Wall, a magical barrier that keeps the Niflheim’s army at bay in exchange for the King of Lucis’ life force. The game begins with an armistice between the two nations, and a marriage between Prince Noctis of Lucis and Lady Lunafreya of Tenebrae (An independent state within Niflheim) is proposed as a symbol of peace. Noctis sets out on a road trip to Accordo’s capital city Altissia, where his wedding with Lunafreya will be taking place. He is accompanied by Ignis, a military tactician, Prompto, Noctis’ childhood friend and Gladiolus, Noctis’ bodyguard. The story of the opening chapters is simple yet engaging. The early plot is delivered in a manner that keeps the player interested, detailed but not excessive. Plot twists begin as early as chapter 3, and it soon becomes clear that Noctis’ journey serves a greater purpose than simply travelling to Altissia with his friends. I felt stupid. Was I really paying so little attention? How did I not even know who this character was before he died? I thought that I had to have missed something. I went online and searched up Jared to learn some of the character’s backstory. What I found was an onslaught of forum posts asking the same question I had “Who is Jared?” I was not alone, and it seems like there was absolutely no backstory or development to this character. Yet his death scene is treated as if he’s a character the player should care about. This is laughably bad storytelling, and leaves the player more confused than saddened by the death. The plot may not be as good in the second half, but there are certainly some beautiful sights, including a city modeled after Venice! The plot stagnates in the second half of the game. While it still does have its moments, the storytelling is generally of worse quality than the first half of the game. Many scenes in the second half are incoherent and the plot becomes less engaging as a whole. In particular, there is a time skip near the end of the game that is poorly explained and the reason for its inclusion is unclear. However, the game’s ending is extremely satisfying and redeems the plot of the second half to a certain extent. It is definitely one of the better endings of the series. As a whole, the game’s plot is lackluster. While it certainly is competent, the second half leaves a lot to be desired. The story of the first few chapters is very engaging, and makes the player believe that they will be experiencing an epic tale. As the story slowly deteriorates, many players choose power through the late game to begin the post-game content. Evidently, story is not the game’s strongest suit, and should not be the primary reason to purchase the game. The main cast (from left to right): Prompto, Gladiolus, Noctis, Ignis. No, they are not a boy band. Square Enix sparked controversy when it was announced that the main playable cast of Final Fantasy XV would be all male. The criticism of the all male cast largely stems from social reasons as opposed to tangible critiques of the characters. The main cast is essential to one of the major themes of the game: brotherhood. Noctis, Ignis, Gladiolus and Prompto are well fleshed-out characters in Final Fantasy XV. Throughout the many roadtrips across Eos, the players gain tidbits of the characters’ personality. For instance, the player finds out that Prompto loves chocobos, Ignis does not like to drive at night and Gladiolus loves the outdoors. These details add life to the characters, and make them feel multidimensional and human. The characters also develop significantly throughout the plot. Gladiolus is more than just a tough guy, and truly cares about his friends. Prompto, a cheerful, happy-go-lucky guy on the outside, faces inner conflicts as the plot progresses. In the second half of the game, Ignis’ experiences a life changing event and must come to terms with his new self. 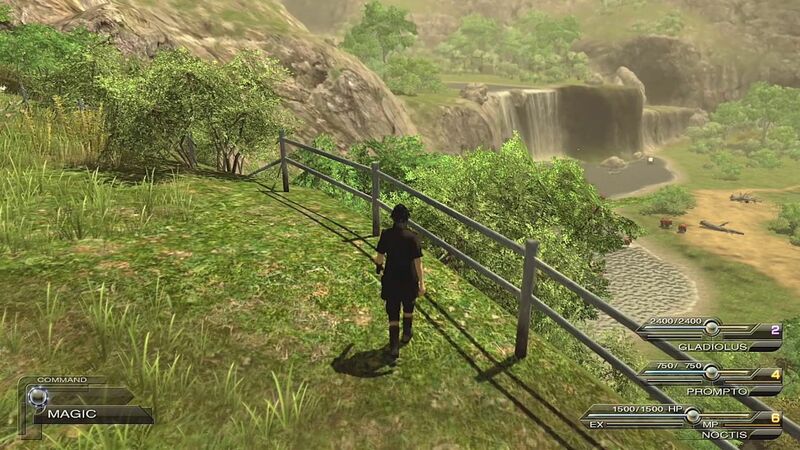 Noctis also receives a significant amount of development. As the game progresses, his role as Prince of Lucis becomes clear, and he must come to terms with his task. The supporting cast is a mixed bag. Lunafreya, the main female character, and Noctis’ bride, is a one-dimensional character with very little development. She appears periodically in short cutscenes throughout the game, but the player learns very little about her. Cindy, the car mechanic, does not seem to serve much of a purpose outside of fan service. Ravus, Lunafreya’s elder brother, is introduced as a mysterious character with unknown intentions. However, his character falls apart as the story progresses. There are also interesting supporting characters in the game. Iris, Gladioulus’ younger sister, is a cheerful and interesting character. During a road trip with the main cast, she expresses how she is jealous of the brotherhood and how she wishes she can experience it. It adds an interesting perspective, as it shows how a female might view the main cast. Ardyn is a well designed villain, as the player can empathize with him while still recognizing that he is in the wrong. He is introduced early, and his character develops well throughout the game. His character is interesting and his motives are plausible, making him one of the better villains in the Final Fantasy series. Square Enix listened to fan feedback and abandoned Final Fantasy XIII’s model of a linear first half and open second half. Final Fantasy XV features a vast, open world that is instantly accessible with tons of content. The game becomes more linear in the second half, but the player can still return to the open world whenever they desire. The world of Eos features an onslaught of sidequests to keep the player entertained and allow for breaks from the main story. The majority of these are simple fetch quests; ranging from retrieving a dog tag, taking pictures, finding a jewel or gathering frogs. These side quests leave more to be desired, as they are a missed opportunity for further character development and world building. Nonetheless, the side quests tend to be enjoyable due to the fun battle system and worthwhile rewards. Hunts made a return from Final Fantasy XII, and they are a welcome addition to the game. The Final Fantasy XV hunts are quite enjoyable, and many of the high level hunts are more challenging than the end game. A common criticism of the open world in Final Fantasy XV is that it feels barren, it is vast but with little to do. There is validity to this criticism; outside of side quests, there is not too much content. 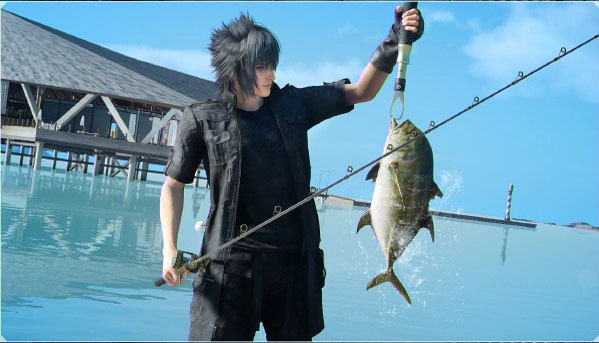 Noctis can fish, which is a fairly enjoyable minigame. When driving the Regalia, Prompto will periodically request to stop the car to take a picture of a scenic area. Occasionally, the player may find a hidden cave while exploring the open world, where they can find the powerful Royal Arms and stronger enemies. While the open world of Final Fantasy XV is a welcome addition, it is certainly not like Skyrim where a player can be entertained simply by walking around and interacting with the world. The main method of transportation through the world is the Regalia, a car that was given to Noctis by King Regis. Many fans despised waiting for the Regalia to reach their destination, as it can take upwards of 10 minutes. However, the player can simply fast travel to a destination after reaching it for the first time. In addition, car rides can be quite enjoyable due to the game’s breathtaking scenery and beautiful music. The level up system of Final Fantasy XV is quite different from the other games in the series. When defeating an enemy, Noctis and his allies do not instantly gain experience. The experience points from all battles are tallied up and awarded when the player rests. The location that a player rests has an effect on the multiplier of the experience gained; resting at a nice hotel awards more experience than a campfire. While this makes intuitive sense, it was tedious at times due to Ignis’ cooking ability. He can only cook at campfires, therefore, the player must rest at a hotel to gain the most experience and then rest again at a campfire to cook for stat bonuses. After resting at a camp, experience points from the day are awarded. The game also awards ability points to the player for various tasks ranging from combat to cooking or fishing. The points can be spent on the Ascension System, similar to the Sphere Grid from Final Fantasy X. The player can choose to spend their ability points on bonuses to specific characters or spend them on general stat boosts for the party. While it is somewhat simplistic in comparison to the Sphere Grid, it certainly adds depth to the game. Each of the main characters has a special skill: Noctis’ fishing, Ignis’ cooking, Gladioulus’ survival and Prompto’s photography. These skills are quite helpful, as the player can gain ability points, materials and bonuses from each one. Moreover, skills can be leveled up for further bonuses. For instance, leveling up the fishing skill leads to better rod resistance and rarer fish. While they are entertaining, one question arises when discussing skills in Final Fantasy XV: Why so little? Since Square Enix clearly made the effort to create a competent skill leveling system, it seems like wasted potential to only have four skills in the game. There is endless potential for skills, ranging from mining to weapon skills to speech, and it is a little disappointing this was not taken advantage of in the game. Final Fantasy XV is the first mainline game in the series to feature Action RPG combat, a decision that has polarized the fan base. In combat, the player controls the protagonist Noctis, while Ignis, Prompto and Gladiolus are AI controlled. While the Kingdom Hearts esque combat seems simplistic, there is quite a bit of depth to the battle system. 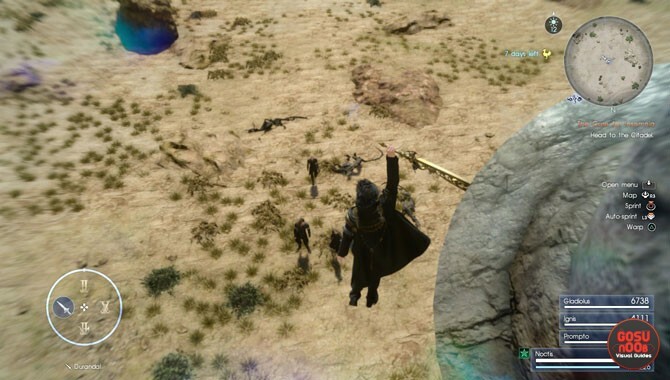 Noctis can carry up to four weapons that can be switched on the fly. Players can utilize this feature to their advantage by equipping weapons that exploit the weaknesses of the enemies they are fighting. Defensive options are also highly rewarding in combat. If Noctis guards an attack with proper timing, he can retaliate with a parry strike. Final Fantasy XV also introduces warp strikes, which are incredibly useful and rewarding. Noctis has the unique ability of warping to higher points, such as a roof, during combat to rest for a few seconds and restore MP. He can then perform a warp strike, which increases in damage the further he is from the enemy. During combat, the player should also be mindful of Noctis’ position. Noctis can perform a link attack with his allies if he performs an attack from behind on an enemy while Ignis, Prompto or Gladiolus are nearby. Noctis’ allies can also support the player through tech attacks. During combat, a green tech bar slowly fills, which the player can unleash to launch devastating attacks from Noctis’ allies. Final Fantasy XV’s combat is not without its flaws. In general, the defining strategic element of the Final Fantasy series’ combat is the use of magic and summons. In all of the previous entries of the series, it is these two elements that cause the player to think strategically and prevent the games from becoming simple auto battles. For instance, in Final Fantasy X, Yuna’s summons can be invaluable during the boss battles, but the player must be able to identify the correct aeon to summon at the proper time. In Final Fantasy XV, the role of magic and summons in combat are reduced and simplified. 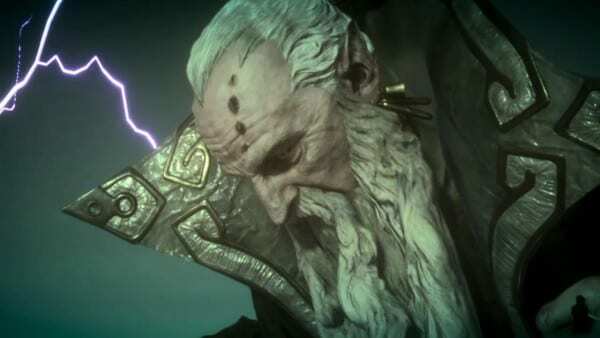 Magic is treated as an item, where Noctis picks up fire, ice and lightning elements throughout his journey to craft into spells that can be equipped. It is very similar to the draw system of Final Fantasy VIII, which is generally unpopular among long time fans of the series. Summons are handled in a lazy manner, as they are triggered by random events during combat that are out of the player’s control. For instance, the likelihood of summoning Titan increases as more allies fall during combat. This is a poor design choice as players must let their allies die to increase the chances of the summon, without guarantee. Luckily, magic and summons are extremely rewarding when used. They inflict devastating amounts of damage, and summon animations are absolutely breathtaking. The combat in Final Fantasy XV is extremely fun, and more tactical than one might think. The warp strikes, defensive options, link attacks and techs add a strategic element to the fast-paced battle system. While the magic and summons fall short, the combat is still highly engaging and rewarding, and without a doubt one of the strongest points of the game. The soundtrack of Final Fantasy XV is absolutely breathtaking. Every track in the game successfully captures the current mood. The battle tracks are upbeat and exciting, the driving tracks are peaceful and relaxing, the overworld music is mysterious and invokes a feeling of curiosity. Final Fantasy XV’s soundtrack took 10 years to create, and it is clear that the composers put a great amount of effort into it. Moreover, soundtracks of previous Final Fantasy games can be purchased in-game using Gil and played on the Regalia, the car that Noctis’ party uses. It is incredible to play old favourites like Aerith’s Theme from Final Fantasy VII or Terra’s Theme from Final Fantasy VI while looking at the breathtaking visual during car rides. The soundtrack of Final Fantasy XV is incredible, and can make a case for best soundtrack in the series. Final Fantasy XV is a highly enjoyable yet flawed game. There are moments of pure brilliance, such as the music of the Leviathan boss fight and the game’s ending. However, there are also a significant amount of low points, including moments of poor storytelling and questionable design choice. The game is recommended for RPG fans who enjoy fast-paced, exciting combat. The battle system, complemented by an incredible soundtrack, is the highlight of the game. The story has its fair share of incredible moments, but falls short in the second half. One should not go into the game expecting an incredible tale, rather, a competent story to accompany the action and exploration. With this in mind, old time fans and newcomers to the series alike can find enjoyment in Final Fantasy XV.